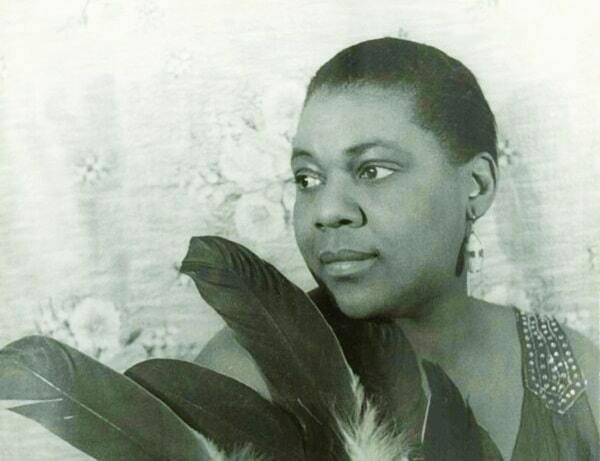 Bessie Smith, pictured in 1936. Photo by Carl Van Vechten. Public Domain, Library of Congress. This article appears in the May/June 2015 “Blues Issue,” now available on newsstands. By the time Bessie Smith had the opportunity to put her inimitable stamp on “St. Louis Blues” in 1925, the song had already embarked upon a 30-year journey from when inspiration first struck composer W.C. Handy to the point where it was the most popular and well-known blues song in existence. And in the 90 years that have intervened from then to now, the song has been covered countless times in settings ranging from jazz to R&B to country to rock and more. Yet out of all these interpretations, which now number in the thousands, none match what Smith managed to do with the song. Handy may have indeed been the “Father Of The Blues,” as he called himself in his autobiography, but it’s hard to imagine the genre developing as it did without Smith’s performance, an example of interpretive singing in terms of connection to the lyrics and emotional believability that blues belters have been trying to honor for all the years hence. Handy’s fortunes improved over the years, and in 1912, he sat down and attempted to write a blues that could cross over to a larger audience. He remembered the woman’s line and began to pen “St. Louis Blues.” Unable to find a publisher willing to take on the song, he formed a company to publish it himself in 1914. “St. Louis Blues” was also notable for the fact that a section of the song was recorded in a minor key. It seems odd, but to that point, the blues, a genre of music known for conveying pain and sadness, was generally played in major keys all the way through. Handy’s use of the minor paved the way for Smith to imbue the song with heartache of bottomless depths. Bessie Smith’s overwhelming talent helped her overcome a humble Tennessee upbringing. Just two years before her take on “St. Louis Blues,” she scored the first of many hits for Columbia Records with the coupling of “Gulf Coast Blues” and “Downhearted Blues.” She was a headliner everywhere she sang and earned the nickname “Empress Of The Blues” for her commanding performances. It was only natural that she would take on what is perhaps the preeminent blues song of the era. As if this perfect marriage of singer and song weren’t enough to conjure musical magic, Smith’s recording of “St. Louis Blues” featured a 24-year-old Louis Armstrong on cornet. Armstrong seems to answer Smith’s every phrase with flourishes that up the ante on the hurt and defeat in the lyrics. (Armstrong would record his own version of the song in 1929 with his orchestra, which, like Smith’s take, would eventually be inducted into the Grammy Hall of Fame.) The only other instrument on the song is a harmonium played by Fred Longshaw which wheezes along as if it’s about to expire from misery at any second. Without ever over-emoting or losing sight of the character she’s playing, Smith wrings every last bit of sting from Handy’s lyrics, which depict a woman whose man has left her for a lady with “diamond rings,” “powder” and “store-bought hair.” Her torment only intensifies each night: “I hate to see the evenin’ sun go down.” Each sunset seems to remind her anew of her disappearing happiness, so that her plans to make a “getaway” seem like nothing more than pipe dreams. By the time Smith gets around to that famous line about the ultimate heart of stone, with Armstrong wailing all around her, she has transcended Handy’s potent creation and taken the song to another realm, one of inexhaustible sorrow. She goes to this punishing place so that listeners can achieve catharsis, whether they’re reliving their own excruciating experiences or just vicariously stopping by. That’s what the blues can do for you. And the “St. Louis Blues,” courtesy of W.C. Handy’s ingenuity and Bessie Smith’s unreal talent, still do it like none before or since.